the human predicament: Is Continuous Market Clearing a Good Premise for Macroeconomic Modeling? Is Continuous Market Clearing a Good Premise for Macroeconomic Modeling? I haven’t quite finished Kartik Atherya’s book, Big Ideas in Macroeconomics, but one proposition, in particular, seems implausible to me, and that’s Kartik’s claim that real world markets are very similar to a "Walrasian central clearinghouse." 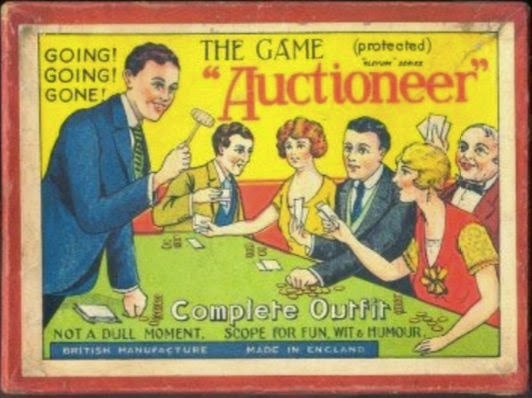 In short, real world markets operate as if they were run by an auctioneer who's continuously finding the prices at which supply and demand are equal. Just for the fun of it, I decided to explore the prices at which Big Ideas in Macroeconomics was being offered on Amazon.com. All the prices I recorded were for a new copy of the book and include the cost of standard shipping. The chart below displays the offer price for Big Ideas and the "percent favorable ratings" for 23 sellers. I’ve excluded one Amazon Prime offer because Amazon Prime membership costs $72, and provides free two-day shipping among other benefits. Here are a few statistics from this single day on Amazon: 1) the mean price of Big Ideas was $49.65; 2) the lowest price was $23.99; 3) the highest price was $75.81; and 4) the standard deviation was $14.07. (The Amazon Prime price with free two-day delivery was $35.11, but isn’t included in the chart). My question is: if this online market is like a Walrasian clearinghouse, how can we explain the wide dispersion of prices for this standardized item? 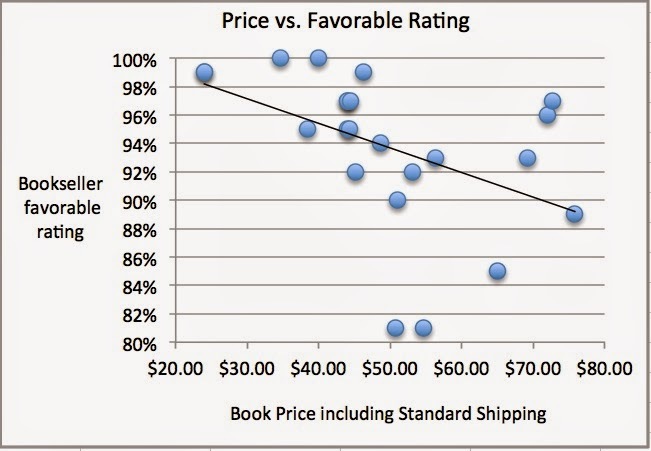 One possibility is that suppliers with good reputations (high favorability ratings) might be able to charge a higher price because buyers have more confidence that the book will be delivered on time. As it turns out, the opposite is the case: lower prices are correlated with higher ratings. This pattern of prices is not what one would expect if Amazon.com actually resembled a Walrasian central clearinghouse. Now it might be objected that the “higher” prices don’t really “count” because few transactions will take place at these prices. Perhaps, but if so, why do "high-price" dealers bother to post a price at all? Since anyone can find out what prices are being offered on Amazon, why would a bookseller who saw ten offers at $50 or less decide to offer the same book for, say, $65? I’m open to other explanations, but my tentative conjecture is that Amazon.com, which typically has a wide range of prices for identical items, doesn’t look like a Walrasian market at all. And if Amazon.com doesn’t fit the bill given all of its apparent market-like virtues, then how many other markets depart from the ideal? Great post Greg! Have you read the works of Benassy on Non-Walrasian Macro? Thank you Federico. I have read one of Benassy's books and a few others in the genre. If you haven't read "Transforming Modern Macroeconomics: Exploring Disequilibrium Microfoundations, 1956-2003," you might want to take a look. It tells the story of the rise and fall of Disequilibrium Macro.